The Afghan Institute for Strategic Studies published a report titled “Political Settlement of the Afghanistan Conflict-Divergent Models” as a part of their Peace Studies research series. The study analyses and explores the different possibilities of a political settlement in Afghanistan, particularly four different forms-inclusion of insurgents in elections, decentralisation of power, power sharing, and interim government. The study seeks to see the prospects of each of these possibilities, and the assets/liabilities of the settlements. It has been pointed out that “prospects of a political settlement look, at best, challenging and perplexing”. It is because military stalemate is not a sufficient condition for positive negotiated settlement, neither is it more likely that insurgents will agree to power sharing arrangements or elections, the paper notes. Additionally, it was also highlighted that the government might also be less likely to accept any settlement other than inclusion of insurgents in elections. The paper brings to light, the necessity and importance of the avoidance of any haste in the peace efforts, pointing that “any form of political settlement should work as a tool for democratisation and statecraft”. It is feared that the in the course of peace negotiations, the insurgents might not be content with just participation in the elections, and might therefore demand some electoral reforms, decentralisation of power and redistribution of resources. They may even negotiate for autonomy or an interim government. The paper calls a proper political settlement “challenging” because the National Unity Government opposes any proposals of decentralisation of power and interim government as an institutional arrangement. On the other hand, the authors believe that the Taliban does not have any commitment to a representative liberal democracy, therein being in favour of an interim government as an institutional mechanism. But as compared to these two sides, the democratic constituency including women are most concerned if any of the options of political settlement would jeopardise the liberal and democratic values as enshrined in the Afghan constitution. The authors also highlight a crucial role of the guarantors in the peace process-United States. It has been pointed out that the reason all diverse and adversary groups enter, stay put or withdraw within an arrangement is because of the presence or absence of the U.S.
With regards to the possibility of Taliban opposing certain proposals in the course of negotiations, the paper addresses that there are three conditions in which the situation may arise. Firstly, if Taliban is certain of the ideological nature of its continuing war, it may not want to compromise on the ideological tenets or alteration of any such ideals. Secondly, if the Taliban has multiple financial sources other than people, it will cease to accept a settlement. 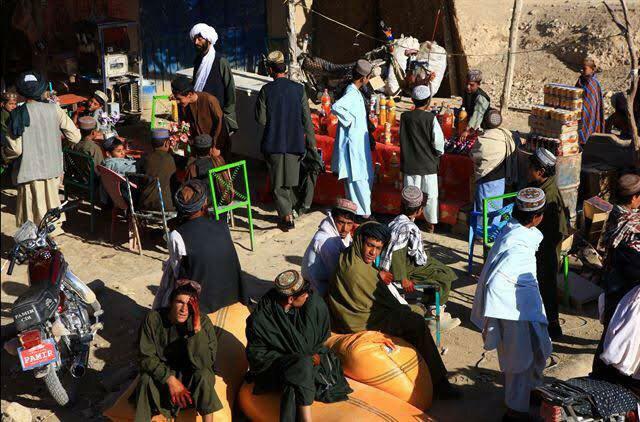 Finally, the Taliban would refuse to enter a settlement if it perceives the status quo in its favour. The asset according to the authors of this study is the current democratic order, which is ensured by elections, constitutional reform and a gradual devolution of power from center to periphery. The liability, on the other hand would be an interim government or a power sharing agreement without some necessary conditions. The authors believe that the current milieu is not conducive for establishment of an interim government, which requires a significant level of maturity and cooperation between all parties and sufficient guarantee by U.S that an interim government shall be followed by democratisation and constitutional reforms. It has been stressed in the paper that the Taliban cannot get away from the demand of the people of Afghanistan that the population wants a modern democratic system as opposed to a theological Islamic Emirate. “There is strong domestic resistance to the replacement of current democratic system with any system which limits the rights, liberties, equality in front of the law, and political participation”, notes the study. Evidently, the Taliban insurgency with its constant attacks across Afghanistan have time and again proven to be “an attack on the constitutional order” of the country. But the report also brings another issue in the spectrum-a wider constitutional crisis which is defined by several factors. According to the authors, the Afghan constitution has lost its key function as a mechanism for conflict resolution between various groups. Not just this, the current format of the peace process in which almost everyone apart from Afghans are sitting across the negotiating table has been deemed inefficient by the paper. “The externally-devised and externally-driven peace settlement focused on short and temporary gains would not result in a long term peace and would not satisfy all the constituencies. Thus, negotiation under the current condition will further destabilize the country”, the authors write. The paper has also studied as to why Afghans are not well represented. It’s because the political elites in the country have not been able to put up a political vision which really mobilises the people around one idea and efficiently unites them. There are theoretical gaps in the idea of Afghanistan according to the authors. The paper explores three scenarios and possible outcomes in the political settlement of Afghanistan. In the first scenario, the current government resists any other accommodation posed by Taliban and only offer the insurgents electoral participation, which will most likely be rejected by the group. Another scenario would be if the U.S withdraw their forces in haste, leaving the state more weakened and susceptible to collapse, which then might lead the Taliban to “escalate their offence”. Finally, the third scenario would be if the U.S agrees for an interim government as demanded by Taliban and the non-Taliban political forces comply with the same, thus leading to a power sharing interim government which would be responsible for calling a constituent assembly for relevant amendments to the constitution and conduction of presidential elections. The authors concede, and thus bring back the imperative nature of the agency of the Afghan people, “should be clear that any form of a political settlement should be based on the people of Afghanistan’s self-determination”. The Taliban, according to the study, “is not and should not be treated as representative of the people.” Subsequently, any settlement that has no engagement, consultation and consent of the Afghan people would be counterproductive in ending the war or creating long lasting peace.